Independent Study Can Not be Paid On Line / Read Below!! 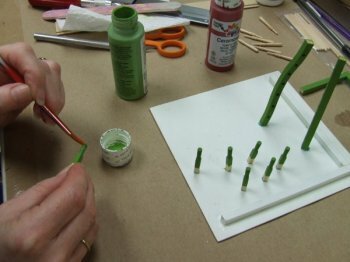 During this course, you will have the time and space to work on the miniature project of your choice. We will be here to offer advice or inspiration and limited help. You must bring (and/or be prepared to purchase) your own supplies; a cutting mat and paper towels are the only "required" supplies. We usually order select a local restaurant (pizza, Chinese, sandwiches, etc.) and do a lunch delivery for participants. Lunch is at your cost - not required, but fun! Participants are required to clean up after themselves at the end of each session. Class times: 10:30am - 5:00pm; this is somewhat flexible, but we need a bit of time to get the shop open in the morning and would like to close "relatively promptly" at 6pm. 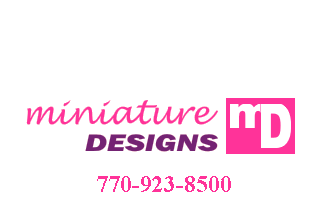 You're encouraged to spend the day and enjoy the camaraderie of your fellow miniaturists. The cost of the course is $30 - which amounts to $5 per session, payable in cash or check ONLY. To keep it simple, full payment is due when you register (again, cash or check only). The signup sheet is available at the shop; you may CALL to register and plan on sending/bringing a check or cash (we don't recommend sending cash through the mail). If you wish to enroll on line, you may do so. Select "Check or Money Order" for method of payment and then mail us a check. Enrollment is limited to 12 students and is open "now.". Call us if you have questions! To be fair to your fellow miniaturists, please try to only miss one absence during the course. Also, if you can let us know you will be gone we can allow someone else to come in. We'll keep a short wait list, and encourage others to join the class if someone drops out. Add-ons will be charged at the $5 per session rate. Since this is a 6 week session there will be a $100.00 Gift Certificate given to one student at the end of the 6 week session. In order to qualify for the Gift Certificate you must attend 5 out of the 6 Sessions.